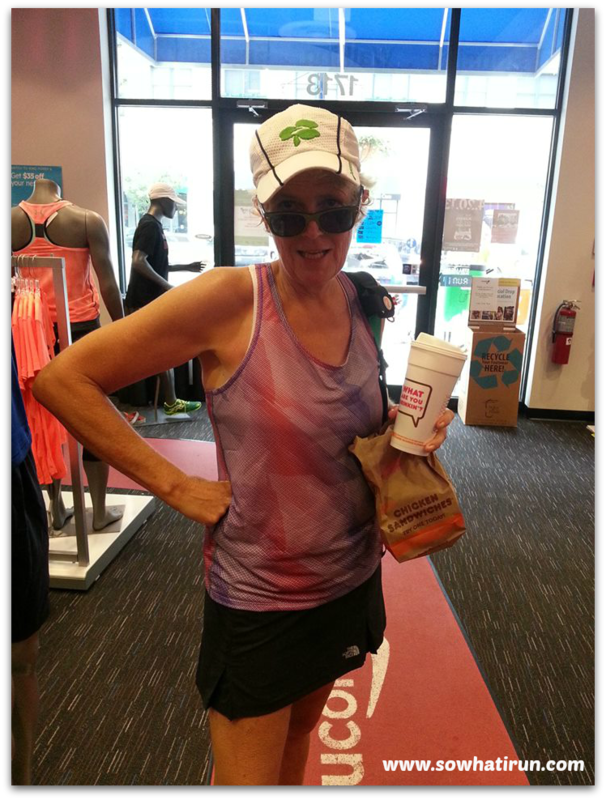 MCM Training – Week 7 (15 Beautiful Miles in Baltimore) | So What? I run. The continued break from the heat and humidity gave us another beautiful weekend for our long run. Yesterday’s long run was perfect! Overcast, low humidity, and a sprinkle of light rain right in the middle of the run made for a pleasant 15 miles through the City of Baltimore. I had the pleasure of running with two of our six pack and we all agreed, it was a great run. 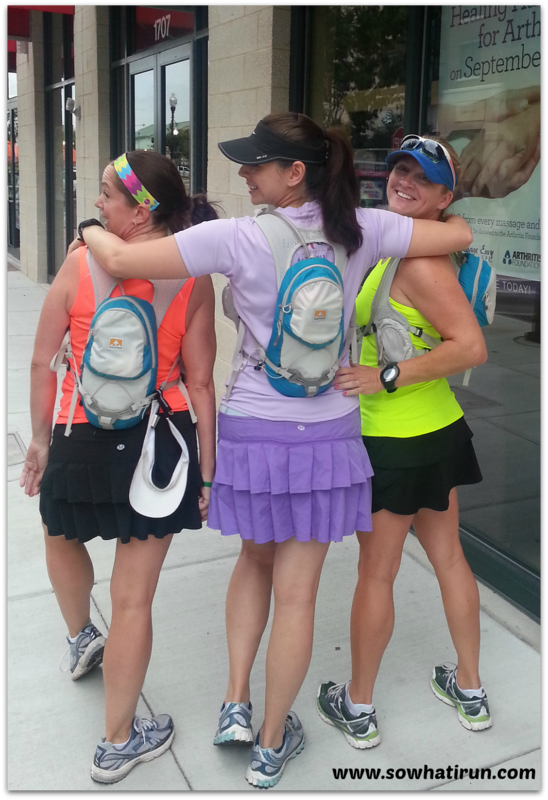 This week we all decided to wear our Nathan Intensity Hydration packs. They hydration pack is a vest with a bladder that holds 70 oz of water an has lots of little pockets. I LOVE running long distances with a vest, but I have to admit that only after several uses, the nozzle on my mouth piece is not working right. It leaked all over my shirt and was difficult to turn off and on. It was like cold pee running down my stomach mile after mile. Plus, by the end of the run, I was sucking in a lot of air. Not sure why the nozzle was taking in air, but it was not good. I have contacted Nathan to see what they will do about it. Will keep ya’ll posted. 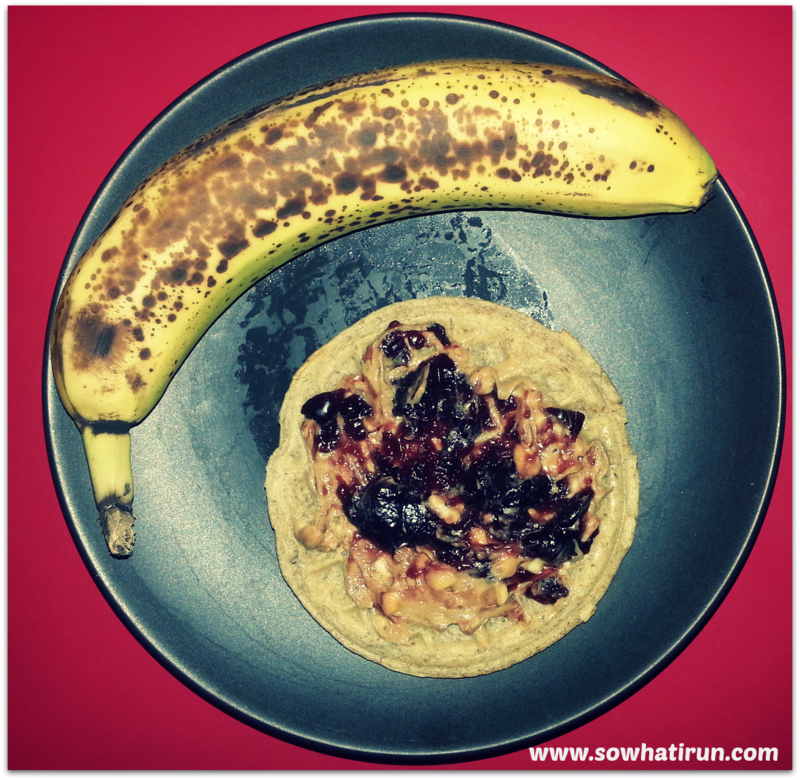 Light breakfast of whole wheat Eggo with peanut butter and jelly and a banana. It’s not my norm and it did not sustain me at all. Thirty minutes into my run, I was STARVING! I don’t know what I was thinking (I was just being lazy), but my body needs more than that. Next week, I’ll add my scrambled egg whites to my Eggo and banana and leave off the peanut butter and jelly. Below is the breakdown of our run. The GU and waffle times are estimates. I seriously can’t remember exactly when I consumed them, but it was around those times. Up until Mile 13, it was pretty easy going. 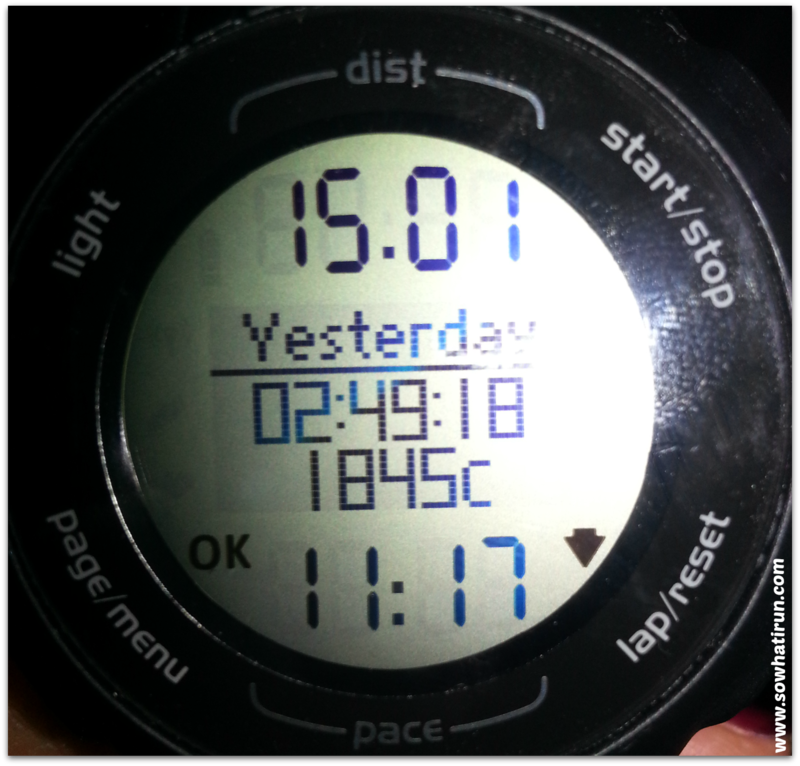 By 13 I could feel my legs begin to tire and instead of clomping, I was doing more of a shuffle. By mile 14 we could feel that we were all pushing through our lactic threshold. “So what exactly is the lactate threshold? Your body produces lactate every time you use your muscles, and the lactate in your blood usually stays at a pretty steady level. During intense exercise, though, lactate builds up faster than it can be flushed out of your blood — this is your lactate threshold. When you cross your lactate threshold, you feel tired, and you might even feel a burn in your muscles. What’s funny is that even though we were tired at Mile 14, once we saw we had one more mile to go, we pushed it to get it over with. It’s always great to have your last mile be your fastest! At this point in marathon training, first time marathoners are running their longest distance to date. I want to congratulate all of those (like Avis below) for breaking new barriers! It’s an amazing sense of accomplishment and I’m sure you’re all feeling on top of the world…even if your legs feel like Jello. Next run is a recovery run today and then track workout on Tuesday. Tomorrow is cross training at the gym. I love your blog so much. It has helped me in many ways. Since I’m training for my first half, I really look up to you for learning all sorts of things that newbies wouldn’t think to learn. 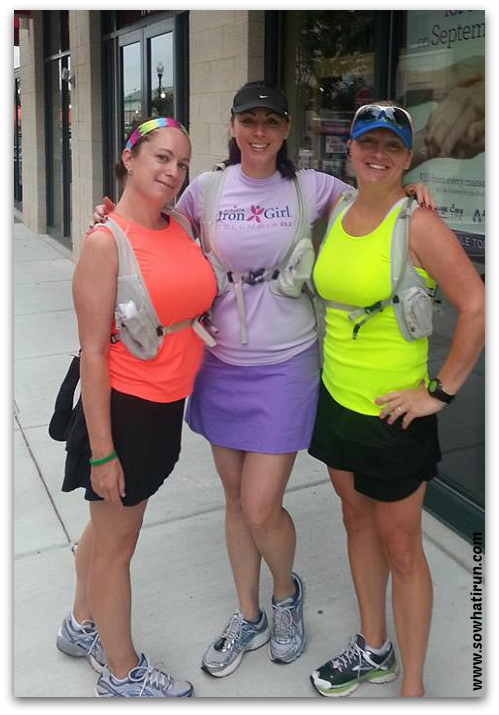 Great job gals on your 15 miles! Kissy! That means so much to me!!! Thank you so much and please let me know if you have any questions about running. I’ll do my best to answer them as quickly as possible. I am nursing a knee injury. Fat Pad Impingement and Patellar Tendonitis. I haven’t been able to run adequately since July 13th. I finally got a few good 1 mile runs in with no knee pain though. I start Pt August 13 th and Runners Clinic middle of September. I was supposed to start half marathon training August 1st and I would think be able to start until middle of September. My half marathon is November 10th. I am super worried since I’ll be so far behind. Look into Prolotherapy! It think it might be able to speed your recovery process. I helps me every time!